Kay, Rita and Philippa all met in 2001 at Abingdon Dance Studios and 7 years later formed Ashnah, with Esme joining in 2014 followed by Ariel in 2015 and Cat in 2016. 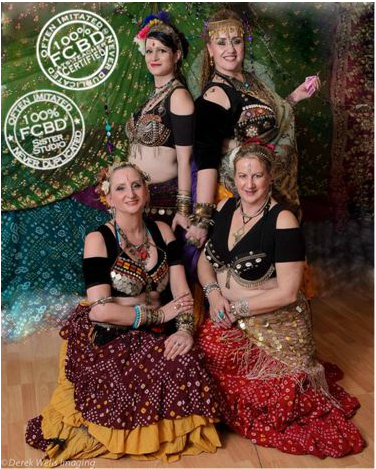 We specialise in improvised American Tribal Style® bellydance as created by FCBD® director Carolena Nericcio-Bohlman, based in San Francisco. We're very committed to this dance style and continually train to keep up standards, attend frequent workshops and private lessons with many teachers around the UK, take every opportunity to train with Carolena Nericcio-Bohlman and FCBD® members when they visit the UK and Europe, as well as studying via online classes with Carolena, and we've also been really fortunate to be able to travel to San Francisco and take lessons at the FCBD® studio too. We often collaborate with Nirzari, a fellow Sister Studio troupe from Farnborough (and are collectively known as Kaleidoscope), and often perform with other ATS® dance troupes too, as well as inviting our own students to join us. We frequently perform with Abingdon's Mr Hemmings Morris Dancers at local functions and pubs, and at many other events with African drummers Oxford Drum Troupe (ODT) at many local events, festivals, theatre shows, charity events and private functions up and down the country. If you'd like to hire Ashnah to perform at your event, please see our Contact page, or if you'd like to try this dance style, please check out our Tuition page and come along - we're a friendly bunch! 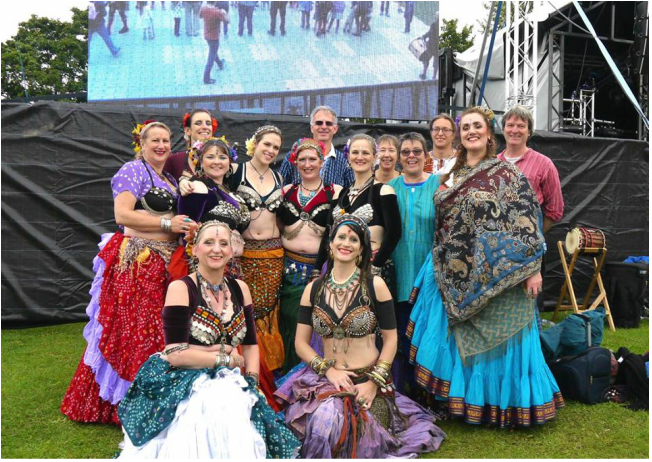 Please visit our Blog to catch up with all the stories from 'life of a bellydancer' at events we've danced at since 2008.